Thomas Dunne Books, 9781250052346, 305pp. In 1980s Syria, a young Muslim girl lives a secluded life behind the veil in the vast and perfumed house of her grandparents. Her three aunts-the pious Maryam, the liberal Safaa, and the free-spirited Marwa-raise her with the aid of their ever-devoted blind servant. Soon the high walls of the family home are no longer able to protect the girl from the social and political chaos outside. Witnessing the ruling dictatorship's bloody campaign against the Muslim Brotherhood, she is filled with hatred for the regime and becomes increasingly radical. In the footsteps of her beloved uncle, Bakr, she launches herself into a battle for her religion, her country, and ultimately, for her own future. With this layered novel, Khaled Khalifa has crafted a thrilling yet heartful coming-of-age tale of a girl who must examine her loyalties and fight to prove them both to others and to herself." 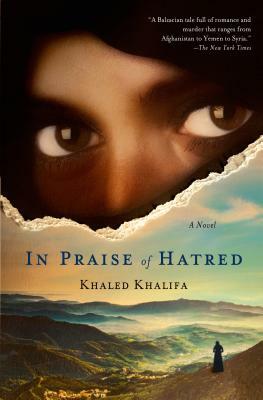 In Praise of Hatred "is a stirring story narrated against the backdrop of real-life events that feel less like history and more like the present, echoing the violence plaguing the Middle East today. Khaled Khalifa was born in 1964 near Aleppo, Syria. He is the fifth child of a family of thirteen siblings. He studied law at Aleppo University and actively participated in the foundation of Aleph magazine with a group of writers and poets. A few months later, the magazine was closed down by Syrian censorship. Active on the arts scene in Damascus where he lives, Khalifa has written four novels and also writes screenplays for television and cinema. His most recent novel, No Knives in this City's Kitchens, won the 2013 Naguib Mahfouz Medal for Literature.